Hockey is a game for everyone. All kids should have the chance to learn the leadership and life skills that the sport offers and the opportunity to grow alongside their teammates. 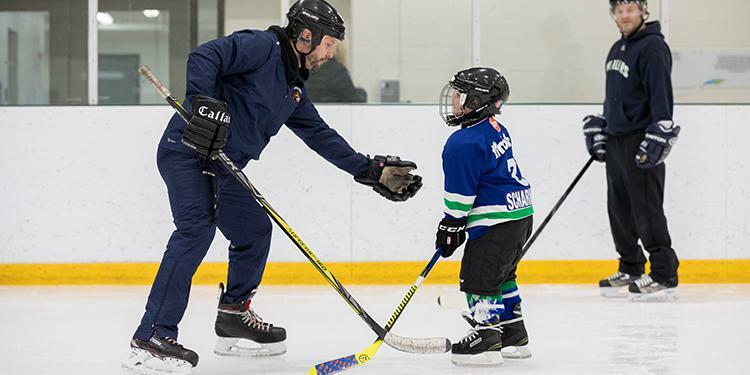 Associations that are looking to bring in new faces to the game and break down some of the perceived barriers to entry can look at the First Shift and Try Hockey - introductory programming that doesn't require the financial commitment of a full season. These are great for families who are unsure of what to expect in hockey and don't want to dive right into the deep end on their first experience. 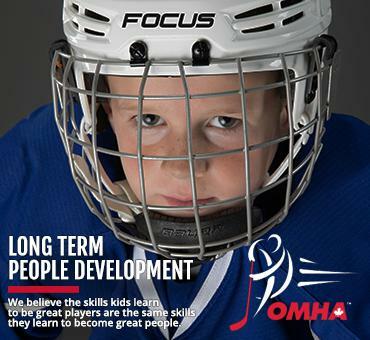 We spoke with three administrators from across the OMHA who were involved in delivering these programs. Why did your association want to get involved with these programs? Cowan: Our association has been looking at means of breaking down barriers to entry for the past few years. What stood out was the difficulty of entering hockey outside the traditional entry points so when the First Shift idea was pitched it seemed like the perfect fit as it broke down barriers of cost and traditional season length. It has been especially rewarding to have players on the ice that are new to Canada, seeing a grandparent in the stands watching their grandchild play this quintessentially Canadian game for the first time really encapsulated the spirit of the First Shift program. Playter: I can say that it is quite simply for the very reasons and philosophy of the program itself. An attempt to ensure a child/family's first experience with hockey is positive. Not to mention, helping make it affordable and hence accessible to some that it otherwise may not be an option. It is not really about the 'hockey', but the 'hockey' is the catalyst for which we can instill so many wonderful experiences and if they stick with it, valuable lessons for life. Babin: Our association has been dedicated to the development of the house league hockey player for over 12 years now. We are always seeking different ways of promoting the sport and attracting new players by giving them the opportunity to try the sport. The game of hockey is for kids. Kids play the game because they love it and because it is fun. Hockey develops skills on the ice that build a foundation for a lifetime. In addition to athletic prowess, hockey promotes confidence, pride, focus and responsibility. Find a program in your community! Did any of the participants have any previous experience in skating or hockey? Babin: All participants who registered had no previous experience which falls in line with the intended demographic for the program. It provides the opportunity to try the sport without a large commitment on the part of the family. Playter: None with hockey, and as far as skating goes, a few of them had skated 'on the pond' or the odd public skate or trip with their class at school. I can say for many of the instructors, it was a big eye opener that some of these families had no idea how to get dressed, the game, the skills etc. Also, the very fact that you have some 10 year old kids, who are on skates for the first time, seems foreign to those who have been around hockey since birth. Cowan: Most could skate and you could tell there were some pretty good street hockey players, but they all had never been registered in an association. The improvement we have seen in the 5 weeks we have been on the ice has been tremendous. Players getting coaching during the First Shift program in Owen Sound. What was the response from the players, parents and volunteers? Has there been any retention? Babin: It was very positive. We had the largest turnout in all of the Try Hockey events put on. We had in excess of 80 kids try the program. In return, we were able to retain kids either by signing up in the First Shift program (5 kids) and we had an additional 5 kids sign up for our full program. Cowan: When the association first considered this program I said I would be happy if we had 10 players and worried that we would be a bust in our Winter Program. Prince Edward County is a small community of less than 25,000 surrounded by the large centres of Napanee, Belleville and Trenton, some of which were running their own First Shift Programs. By the time we had the Fall Welcome Event we were at 28 players and we just had the 14th player sign-up for the Winter session. 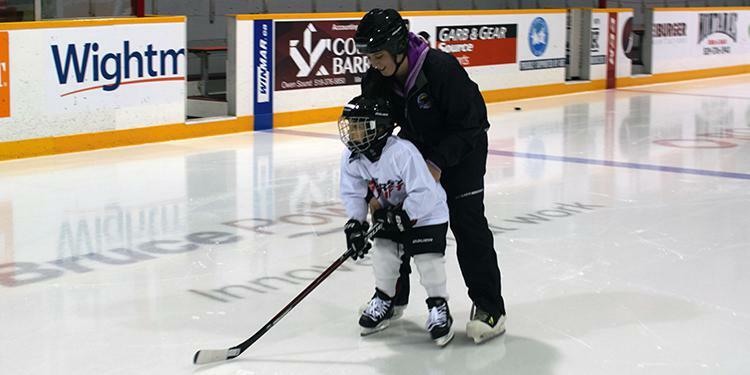 We deepened our pool of volunteers to ensure a positive on-ice experience. We brought in former players and some of the Midget Local League players stepped in as well. They have not only shown-up, but have engaged with the players day in and day out both on the ice and off. They have all asked to help out with our transition program and committed to the Winter Program as well. These 15 and 16 year old men and women are truly inspiring and we cannot do enough to recognize their contribution to their community. All too often, teenagers only lack the means to show their true nature - hockey is unique in its ability to provide this outlet. What is the future of the program and the players involved? Cowan: First Shift has given us the possibility of adding over 50 new players into our program. In a community of our size we likely won’t offer another First Shift next season as we have pulled as many from the pool of 6 to 10 year olds as we can. Now we are rethinking the approach we take with regards to: new to hockey families, breaking down barriers of entry and creating opportunities for mentorship and volunteering for our players. It will be interesting to see where the First Shifters are in 4 or 5 years and get their perspective on the Program and the start it gave them in hockey. I can’t wait until we have a 'First Shifter' player as an on-ice volunteer in a few years. Babin: I think the intent of the program is great. I do think it also does have a positive future as there are many families/kids who would like to try the sport. Playter: This is yet to be determined. However, I certainly foresee our association continuing this valuable program and perhaps taking it to the next step. We will be discussing offering opportunities for the current kids in the near future. Why is it important for associations to host programs that bring new players into the game? Playter: Far too often success is measured by the goals one scores or the games teams win. Or perhaps for an association, by the kids that 'made it' to the higher levels of hockey or the championships they brought home. What about the kids that applied everything they gained through their years of hockey to their lives and became successful students, business owners, builders, doctors, lawyers, teachers and coaches? Maybe in large part due to their experiences with the sport and all its stakeholders. The goal for all families should maybe simply be the participation in hopefully a lifetime activity for its physical, mental, and social benefits. If the kids carry on as adults and continue to play and/or coach, and/or officiate, then the 'investment' would be well worth it. And if they fall out of the sport, they will hopefully move onto other interests and be richer for the overall experience. First Shift is essentially the first step to that end goal. Cowan: Hockey has a lot of competition and associations have to innovate through offering specialized programs, focusing on development and providing a meaningful experience in the community as well as on the ice. As much as we invest in making our players better hockey players, what we really strive for is giving kids a chance to realize their better self. When we start the season every year with parent meetings I always thank parents for participating in Minor Hockey in Prince Edward County. 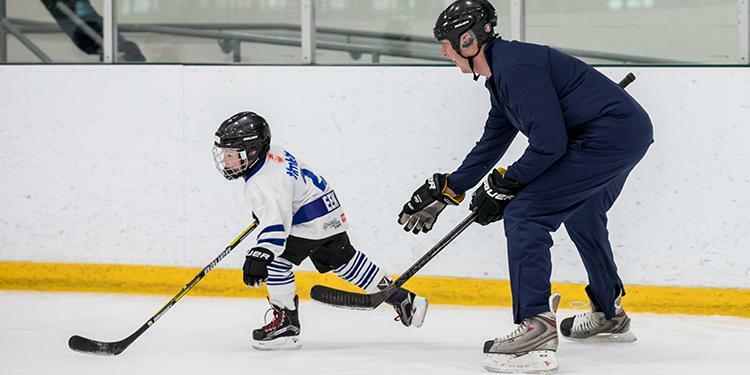 Parents don’t have to spend their money on hockey, so when they decide to it is imperative that we deliver with providing value for their money and offering opportunities like First Shift is a meaningful way of giving them full value for their hard-earned dollars. Babin: Unfortunately over the years hockey has gotten a bit of a bad reputation. The cost (of ice), equipment and the significant change in our community age demographic has definitely had an impact. It is very important to allow the kids the opportunity to try the sport without the financial burden or commitment. Hockey is more than just a sport activity. Once a child embraces the sport, there are many positive foundational lessons that are taught (winning/losing/respect/work ethic, etc.) just to name a few. Note: Some answers have been edited and condensed for clarity.